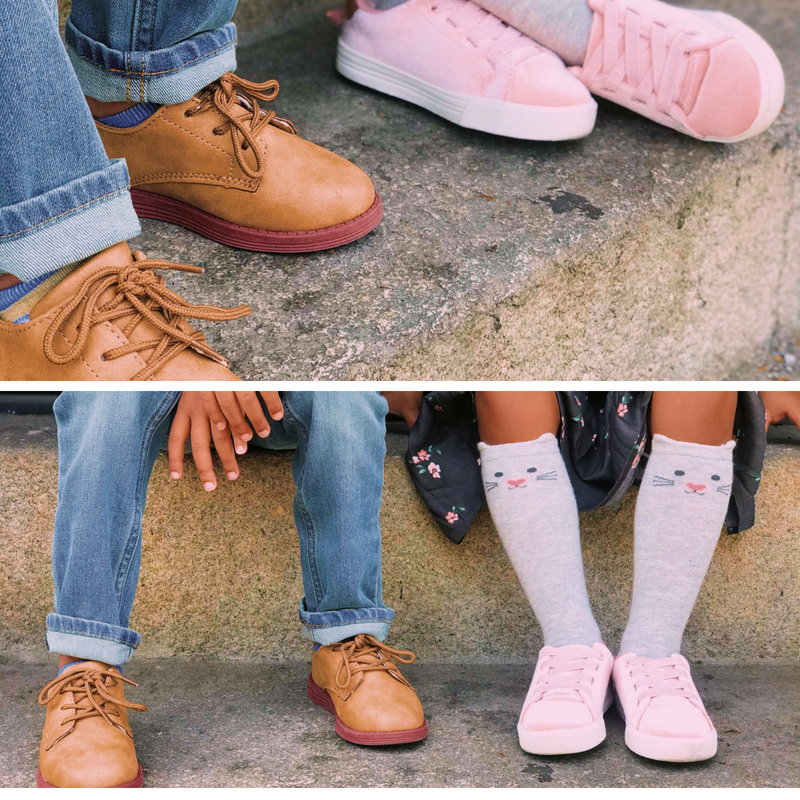 Let your kids fully express themselves with OshKosh B'gosh super fashionable and comfortable styles this school year! Believe it or not, my kids' styles may seem a bit "mature," but hey - that's what they like when they step out of the house. 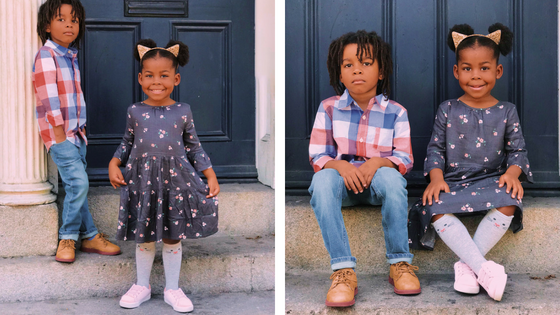 The back to school season is already upon us and let's face it, our kids can't wait to show off their first day style and neither can we! OshKosh B'gosh makes it incredibly easy to pick out the style that suits our kid's personalities. From their line of skinny jeans, oxford shoes, to the velvet crush sneakers, and knee-high socks, shopping with OshKosh is so much fun for the entire family. I've nicknamed my son "Mr. Business," because he actually prefers his collared shirts. He explains to me, that button-up shirts makes him feel more "successful" and ready for "work." As you can tell, his personality is more on the serious side and he has more of the "get things done" type of attitude. It's hilarious to watch as his mother, because how can something so little be so serious all of the time? Fortunately, there are lots of items to choose from with OshKosh's back to school selection. He still is only five years young, so there are lots of days when he rather a screen tee with a dinosaur, race car, or spaceship graphic on it. 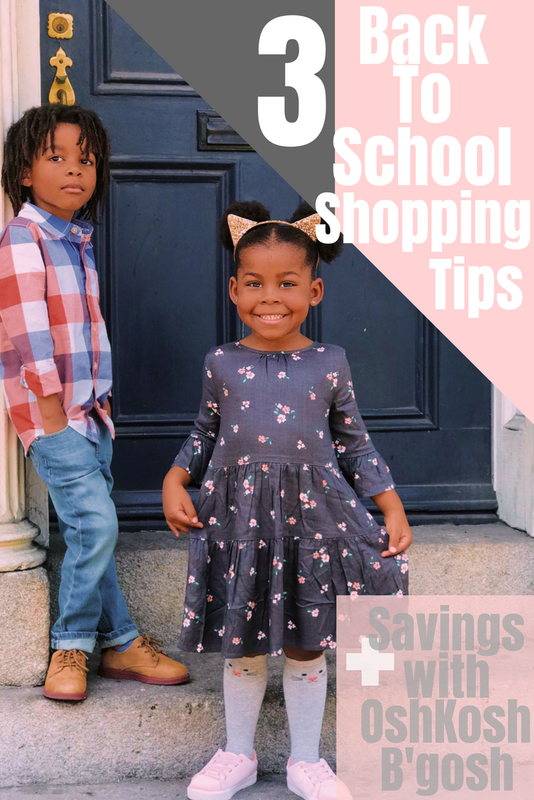 One of my biggest tips when shopping for back to school is to purchase different layers of items, so that they last you throughout the changing seasons. When the kids start school, it's usually hotter weather and as the months fly by, cooler weather approaches, but at least you'll be prepared. You only need to purchase a few pair of jeans, being that they pair with just about anything very well. Then, you can start off with a few button up shirts, and a few screen tees. 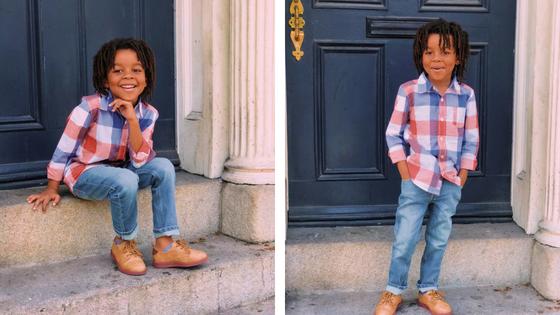 During the warmer months, your child can rock their screen tees and as the weather cools down, they can layer that same tee with a fashionable button up or denim jacket. On the other hand, my little Princess is as warm as she seems. When we walk into a store to shop for her, her first pick is always a dress and a pair of sneakers. Not only is she a bit prissy, she's also edgy - and OshKosh B'gosh makes it easy to piece together her own personal style. She can channel her inner princess while keeping up with the rest of the class on the playground. When shopping for girls, go for sneakers that can pair with dresses, leggings, and jeans - that way, she can get the best wear of that one pair of shoes while still being fashionable. Personally, I love shopping for dresses because they count for an entire outfit and I think my daughter has picked up on that! 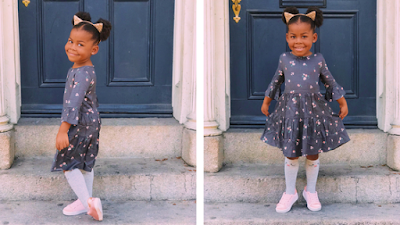 Pair their dresses with leggings, that way you know she's secure on the playground and those same leggings can be paired with a screen tee or blouse on a later date! 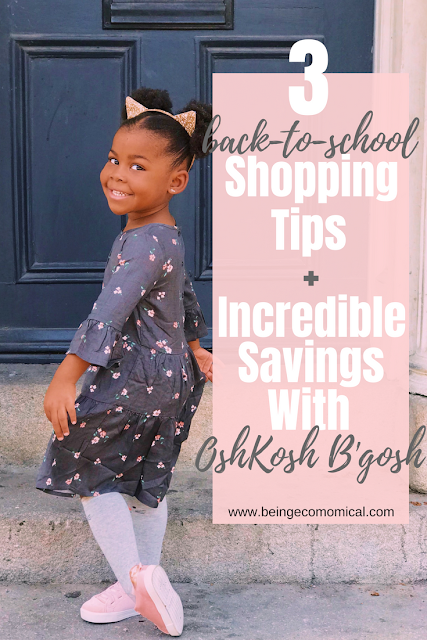 Quality and comfort are my main concerns when shopping for back to school and OshKosh has done a really great job of delivering excellence in both categories! 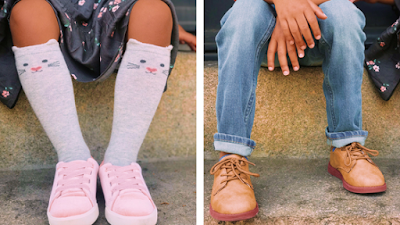 Kids can channel their inner "whoever" with the OshKosh's latest kids fashion. 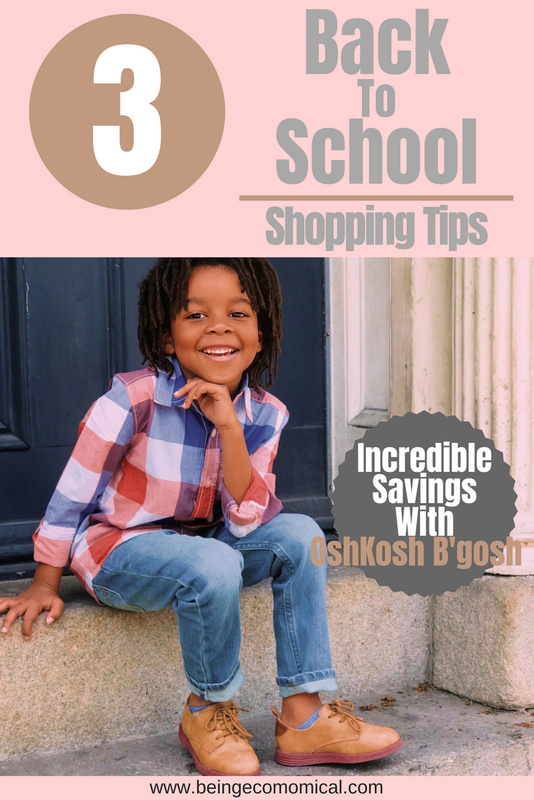 Whether it's "Mr. Business" with his button up on day one and a spaceship graphic tee on day two, OshKosh B'gosh has something for every child's unique style. 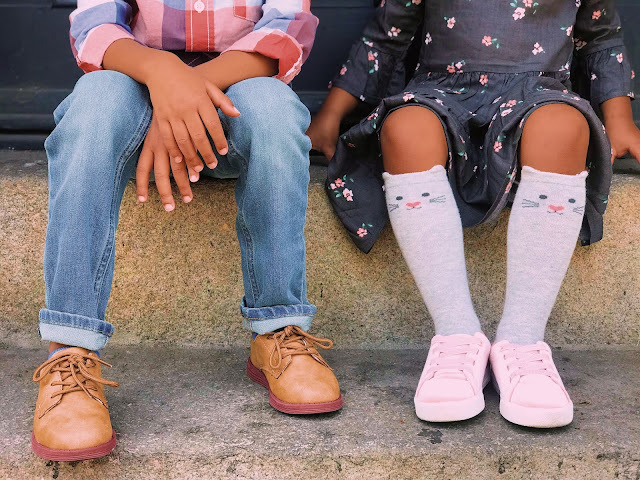 The same goes for our girls - day one may cause for her favorite floral dress and day two, may have her feeling like a pair of patterned leggings and a cute tee. Whatever the feel, whoever the kid, OshKosh has you covered this year! Check it out for yourself online or in stores and while you're at it, use Coupon Code: 037958 in store or Coupon Code: OKBG3478 online. As the back to school season approaches, I wish you and your little ones the most successful year ever! I hope these tips have saved you time and a few dollars as you and your family prepare for the season ahead.